A UK publisher has promised to deliver a "triple-A" Rambo game on PC, PlayStation 3 and Xbox 360 next year. Publisher Reef Entertainment secured the game rights to Rambo from StudioCanal, according to MCV. "With the success of the most recent Rambo film, and an international appetite for action movies with Expendables 2 scheduled for release next summer, we felt now was a good time to do something special with this licence," Reef Entertainment CEO Peter Rezon told MCV. Craig Lewis, Reef commercial director, said: "We have big ambitions for Reef and the Rambo IP is the first step in establishing us as a worldwide player. "Rambo will be a triple-A title on PS3, Xbox 360 and PC and will capture the gritty atmosphere and full-on action which made the Rambo movies so successful." 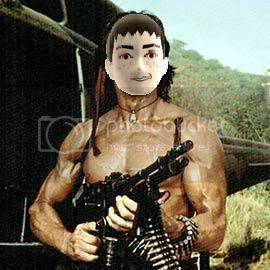 f*ck Rambo. Give me a Sambo game! Publisher Reef Entertainment and developer Teyon have today revealed the first screenshots and details for Rambo: The Video Game, which is currently in production for consoles. 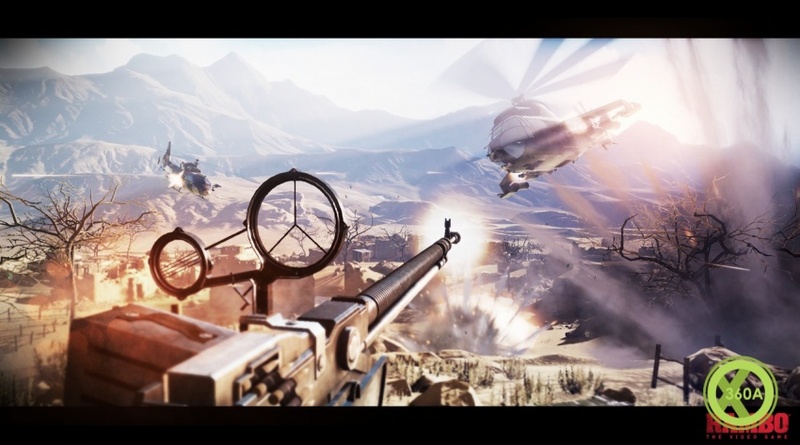 The game will be a "fixed-perspective, first-person shooter", and will see you strapping on the boots of John Rambo himself on a violent mission that'll take you through the best bits from the first three movies. 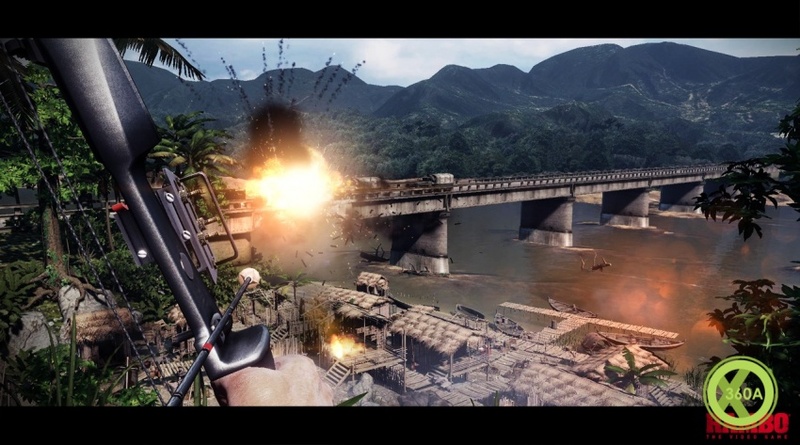 Featuring brutal shootouts, demolition, stealth kills and knife-play, Rambo: The Video Game promises to provide "authentic Rambo gameplay" based upon highlights from Rambo: First Blood, Rambo: First Blood Part II and Rambo III, some of which have been edited together into the teaser video below. 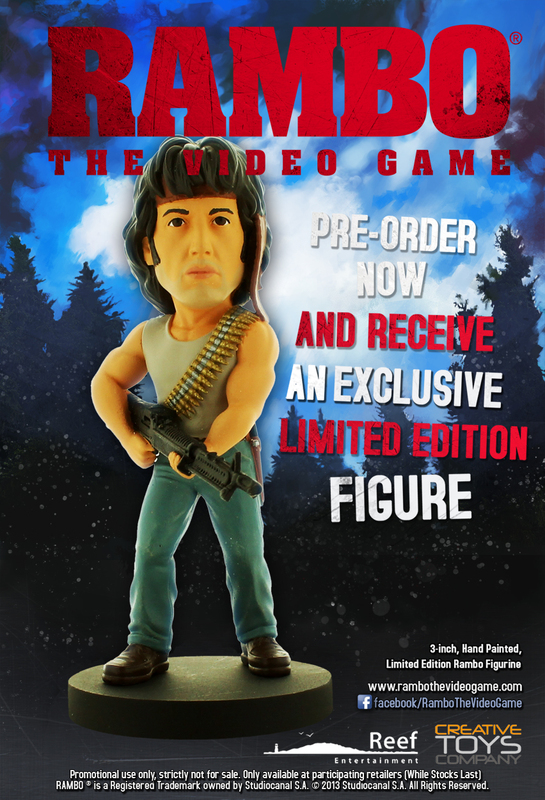 Gameplay elements will also include destructible terrain, cover-based shooting and rag-doll physics in an effort to "deliver the high-quality Rambo-action fans around the world expect." Action-packed set-pieces are also a given, and the game will also utilise "a contemporary game engine", according to Reef's Commercial Director Craig Lewis. "By matching classic fixed-perspective play to a contemporary game engine we believe we can deliver a game that matches the pace and action set-piece diversity of the films," he said. Never really feel too easy with trailers like this for a game. Hope it's not a game full of cut-scenes from the films...and I wonder what they're referring to by "authentic Rambo gameplay"? EDIT: Let me re-phrase that - If they're going with a "fixed perspective" on-rails shooter and attempt to pass it off as a Triple A Title (including price-point), then I'm out. Master System Light Phaser win! 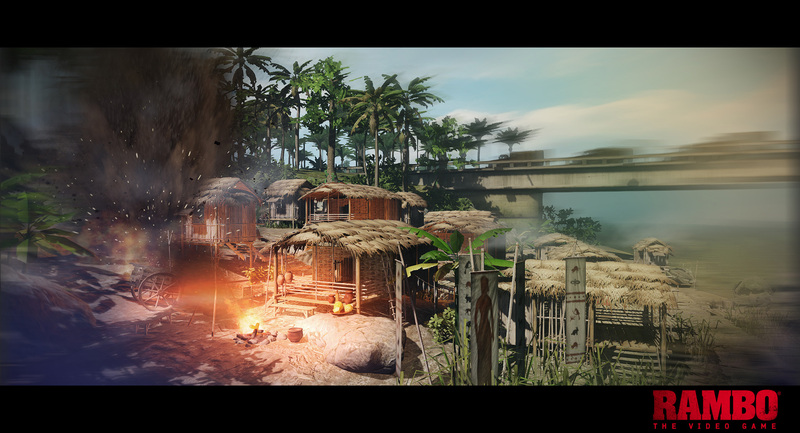 Reef Entertainment has announced that Rambo: The Video Game will utilise the original voice-tracks from the movies, taking dialogue from Sylvester Stallone as John Rambo and the late Richard Crenna as Colonel Samuel Trautman. 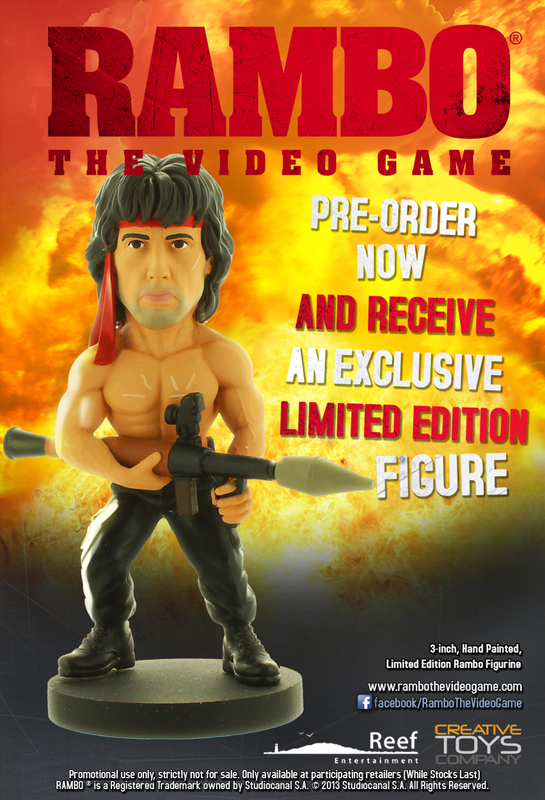 “Our goal is to produce the finest Rambo video game ever made. To do that, we are including dialogue, special effects, and music from the movies.," said a spokesperson for Reef. 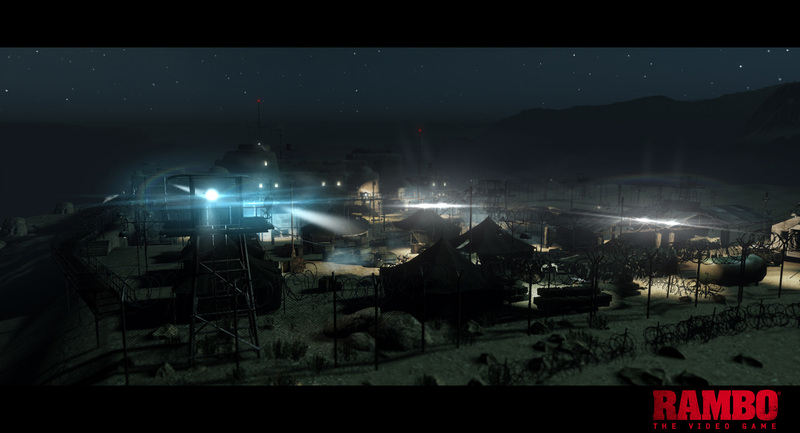 StudioCanal has provided the audio reels from its archives for the game, with the original voice recording tapes from First Blood, First Blood Part II and Rambo III enabling the team to deliver "the pristine vocal performances of Stallone and Crenna that we have included in the game,” the Reef spokesperson added. 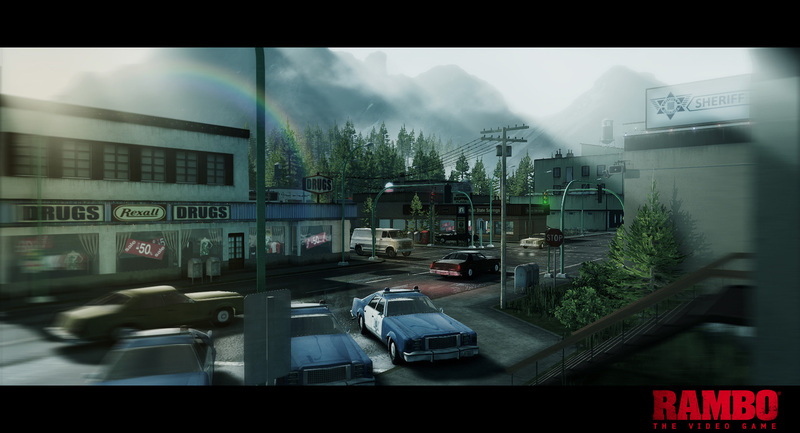 Rambo: The Video Game will be launching in 2013. Check out two new screenshots from the game below. This game is going to be so bad, and I'm going to love every minute of it! Choose! Choose the form of the Destructor!